Family businesses are a rarity in our rapidly changing and fast-paced world. With so much business and socialization conducted over the impersonal internet, it is refreshing to walk into a small shop and be able to actually see and hold pieces of art as you decide what is the perfect piece to take home with you. At Twice Baked Pottery we offer a personal touch so that everyone’s shopping experience brings back memories of a simpler time — when people greeted each other warmly, service was a priority, and you knew not just where something was made, but the person who actually made it. 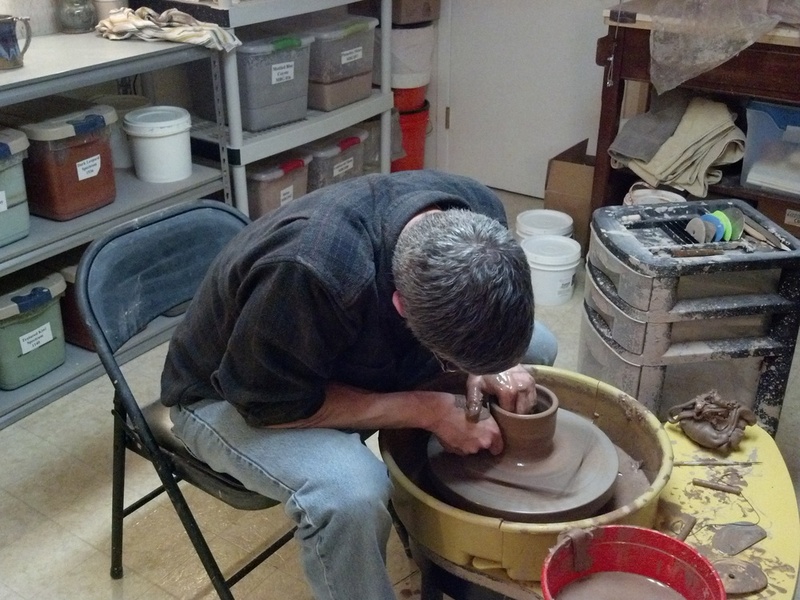 Scott has been working with clay for more than ten years. Initially just a hobby to escape from the grind of the "day job", Scott has found his calling and is enjoying the next chapter of life -- transforming what was a hobby into a profession. Having practiced law for more than 18 years, the transition to potter may appear anything other than a natural fit. "My focus for the first half of my life had always been in areas where I used my analytical skills -- from being a Politics major at The Catholic University of America to representing thousands of clients in court and running my own litigation practice in Milwaukee. Taking up pottery as a hobbyist was an incredible change in how I both thought and saw the world. Art opens your mind and lets you see things that we miss in everyday life. Art creates possibilities we don't always see or that we take for granted." Thanks to the encouragement of family and friends, Scott began taking classes at both local pottery studios and in North Carolina at the John C. Campbell Folk School. Constantly expanding his repertoire in clay, Scott looks forward to taking additional classes and learning new techniques. "There is so much more that I want to accomplish in clay. It is an art form that allows for constant change and experimentation. It is the artistic marriage of control and chaos -- you never know what you'll have until it's done. I don't know yet where this journey will take me, but I am excited to find out." 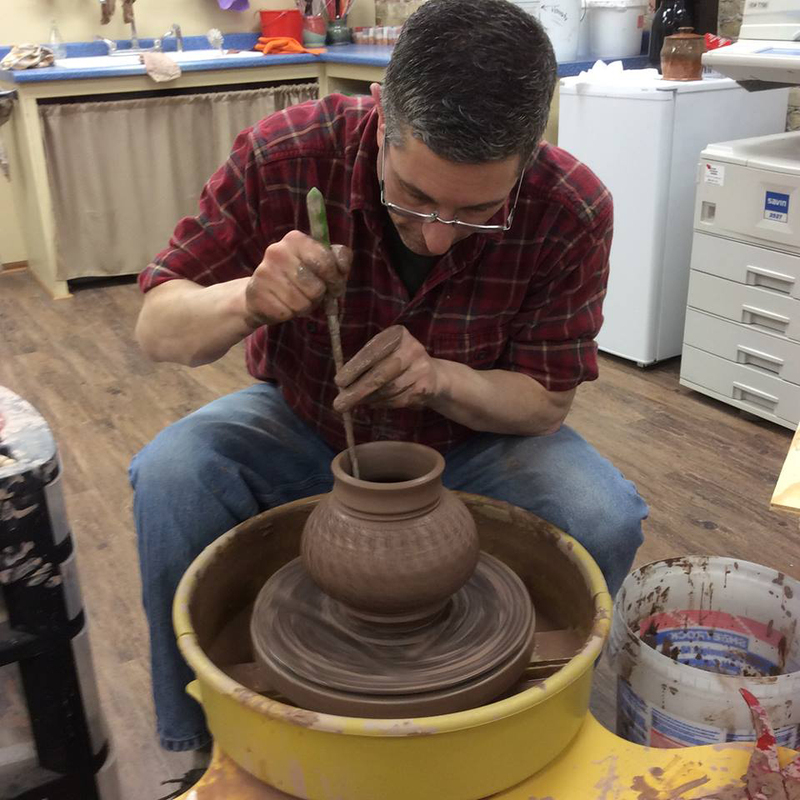 While keeping up a very active show schedule, Scott maintains his studio and art gallery in beautiful downtown Racine, Wisconsin, and has taught pottery at the Racine Art Museum. Our mission will always be to provide high quality pottery at a reasonable price. Pottery is meant to be used and enjoyed. It is functional art, not just to be placed on a shelf, but on your table -- a tool for you to use when breaking bread with friends or enjoying some quiet time curled up with a good book and a mug of coffee, hot cocoa, or tea. Pottery is meant to enhance, not take over.